Joe Cyganowski-For Shaw Media. 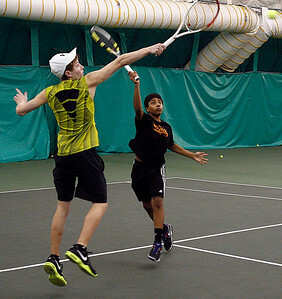 Jacobs boys tennis moves to the indoor practice facility of Centre Court Atheletic Club to avoid the winter weather. Kailish Panch returns a baseline ball. Joe Cyganowski-For Shaw Media. 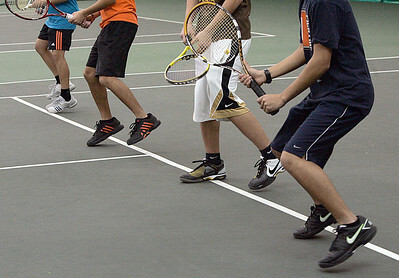 Jacobs boys tennis moves to the indoor practice facility of Centre Court Atheletic Club to avoid the winter weather. Hitting drills and footwork keep the team loose and limber. Joe Cyganowski-For Shaw Media. 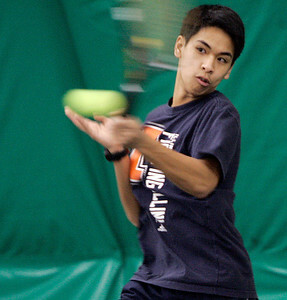 Jacobs boys tennis moves to the indoor practice facility of Centre Court Atheletic Club to avoid the winter weather. 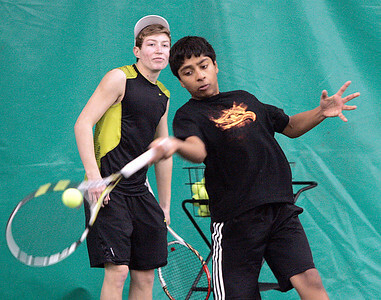 Brandon Sidor (left) and Kailish Panch go for a hit. Joe Cyganowski-For Shaw Media. 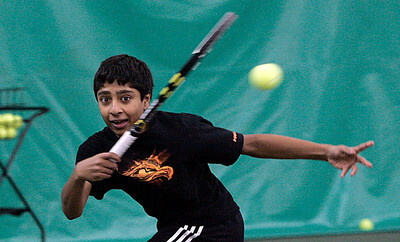 Jacobs boys tennis moves to the indoor practice facility of Centre Court Atheletic Club to avoid the winter weather. Joe Cyganowski-For Shaw Media. 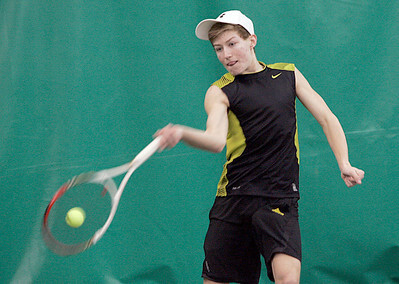 Jacobs boys tennis moves to the indoor practice facility of Centre Court Atheletic Club to avoid the winter weather. 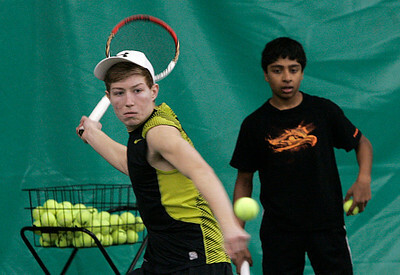 Brandon Sidor (left) goes for the hit with Kailish Panch looking on. Joe Cyganowski-For Shaw Media. 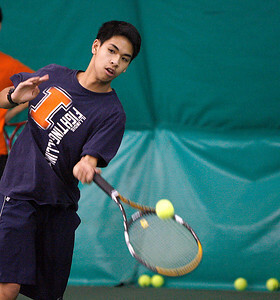 Jacobs boys tennis moves to the indoor practice facility of Centre Court Atheletic Club to avoid the winter weather. Kingsley Bernardo works on hitting drills. Joe Cyganowski-For Shaw Media. Jacobs boys tennis moves to the indoor practice facility of Centre Court Atheletic Club to avoid the winter weather. Brandon Sidor works on hitting drills. Joe Cyganowski-For Shaw Media. 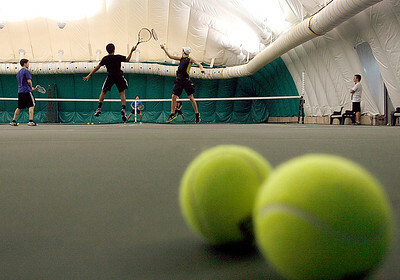 Jacobs boys tennis moves to the indoor practice facility of Centre Court Atheletic Club to avoid the winter weather. With Brandon Sidor waiting his turn Kailish Panch works on his hitting drills.